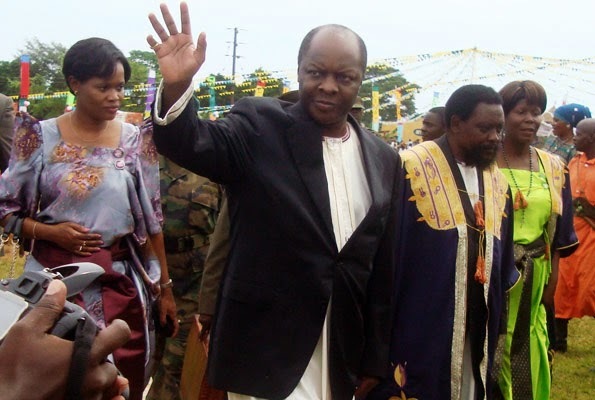 This is to wish His Majesty the Kabaka of Buganda, Ronald Muwenda Mutebi II and the people of Buganda as well as Uganda fruitful celebrations of the Local Government day for Buganda on 30th May, 2015 at Gulu Mukono. Long live Kabaka. Kyaggwe County emerged the best in the competitions that were organized by the Kingdom’s local government ministry in different aspects. In the competitions, they evaluated leadership, environmental protection, the state of county head quarters, the management of land issues, how meetings are held and different projects initiated. Because of such wonderful performance, Kyaggwe County is to host this year’s Buganda local government’s day celebrations scheduled to be held on May, 30, 2015. The day is set to coincide with the thanks giving by the newly appointed Gombolola chiefs in show of appreciation to the Kabaka for entrusting them with his delegated services and he has granted his wish to grace the occasion. THE SECURITY PEOPLE NEED TO GET MORE SERIOUS IN CRACKING DOWN ON THE UNRULY TAX DRIVERS MORE SO THEIR MILITANT LEADER ABDALLA KITATTA. 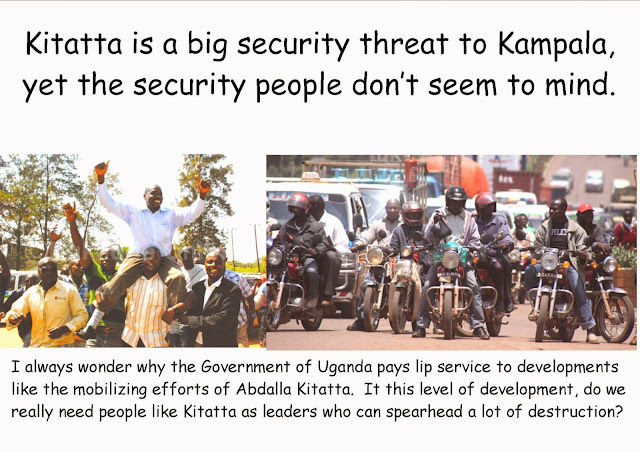 The security people in Uganda should stop looking on as Kitatta leads his boys to disorganize Kampala. The security should realize that KCCA is supposed to be in control of the city. If KCCA decides that it wants elections supervised by the Authority, how then does Kitatta come in to say no. We have seen enough mess in Uganda. 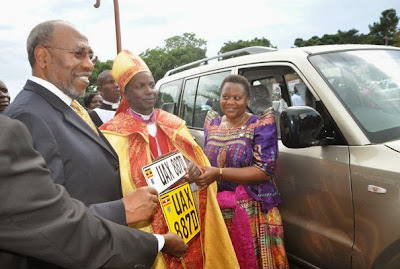 This so - called connections with State House which Kitatta uses to threaten everybody cannot be accepted. The boda boda boys can be very destructive, and before something is done, it may be too late to reverse their actions. Let the authority in Kampala be in control. For any misunderstandings, dialogue should be given a chance. If need be, the President may get to meet all the parties involved to see that possible violent activities are ruled out so that misunderstandings are amicably solved. PROF. VENANSIUS BARYAMUREEBA'S WISH TO RUN FOR PRESIDENT IS A POSITIVE DEVELOPMENT. 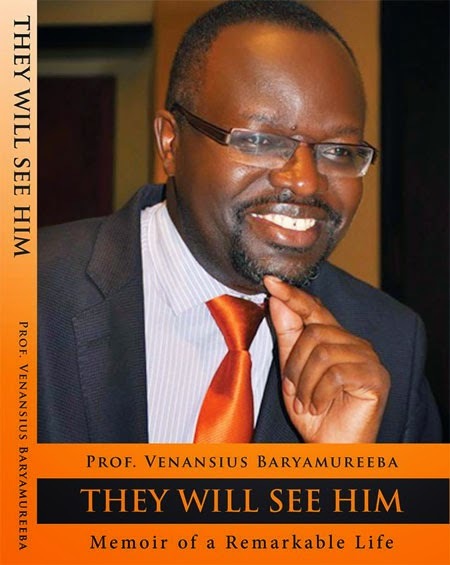 If Prof. Baryamureeba runs for President in 2016, I see a few positive aspects: 1. 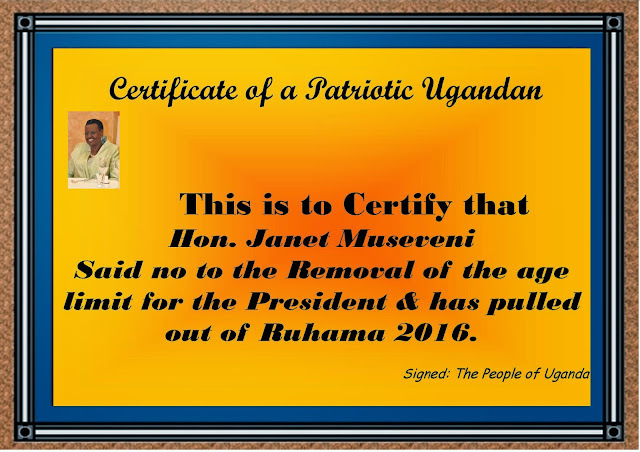 The Prof. will reduce on the would be number of Votes for Yoweri Kaguta Museveni; 2. He will possibly help check the technology that may be used which may be a positive vehicle for cheating; 3. He may help in using modern technology in reporting fraudulent activities in polls so that they are checked in time. The Government of Uganda has told the teachers to call off their strike for an increment of 10% as there will be no salary increments this financial year. While I sympathize with the parents who have their children in the Government schools, I strictly support the strike of the teachers on grounds that the arrogance of the NRM Government has reached a limit. They claim not to have money to barely increase teachers pay by less than shs 50,000 per month, yet because of the arrogance, they want to increase the numbers in Parliament, because for them Political sense makes sense over economic sense. I say, NO. Let the industrial action continue. I have previously written as follows: When you look at an increment 36 new members to the forthcoming Parliament of Uganda, given the other demands on the economy, you simply understand that our leaders are myopic, with wrong and selfish priorities. If the taxpayer spends about shs 25m per MP, 36 MPs in one year cost not less than 10,800,000,000 and when you add on a car of about shs 100m another shs 3,600,000,000. When you have a Government that is concerned about the welfare of the Public Servants, at least a 10% increment that teachers were promised could have a good boost from over 14bn that the 36 MPs will get from the consolidated fund. Modern management does not call for sub dividing units, but instead making them bigger. In Uganda we need to have a given population represented as the scientific approach not the current fake way. I think the strike for better pay by UNATU as 2nd term starts is a worthy action to the insensitive Government. I was most grateful when my newly born baby was referred to Kisekka Hospital in June 1990 by the late Dr. George William Mayanja of Victoria Medical Centre as he did not have facilities to admit patients. My child was well attended to at the time when he was just a week or so old, and he recovered well. Unfortunately, Kisekka Hospital is history. 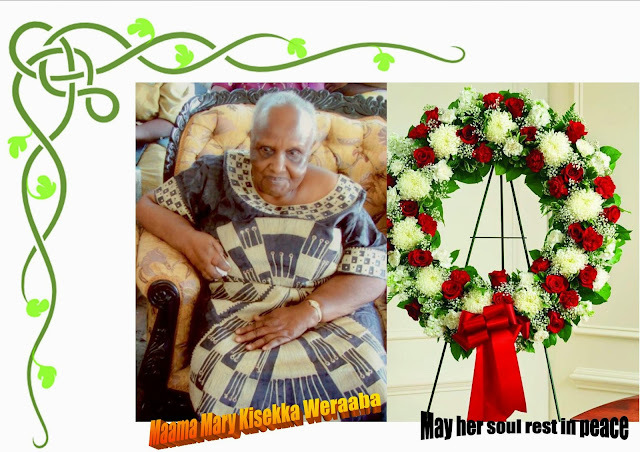 The passing on of Mrs. Mary Kisekka is sad. We thank God for all her good works and the testimony about her Christian life. It is so sad that the family is still demanding for the terminal benefits of Dr. Kisekka. They need our prayers at this time of the great loss. "MAY THE ALMIGHTY GRANT MARY KISEKKA ETERNAL REST"
When you look at an increment 36 new members to the forthcoming Parliament of Uganda, given the other demands on the economy, you simply understand that our leaders are myopic, with wrong and selfish priorities. If the taxpayer spends about shs 25m per MP, 36 MPs in one year cost not less than 10,800,000,000 and when you add on a car of about shs 100m another shs 3,600,000,000. When you have a Government that is concerned about the welfare of the Public Servants, at least a 10% increment that teachers were promised could have a good boost from over 14bn that the 36 MPs will get from the consolidated fund. Modern management does not call for sub dividing units, but instead making them bigger. In Uganda we need to have a given population represented as the scientific approach not the current fake way. I think the strike for better pay by UNATU as 2nd term starts is a worthy action to the insensitive Government.